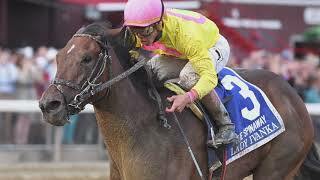 Grade 1 stakes winner Lady Ivanka is offered as a racing or broodmare prospect. 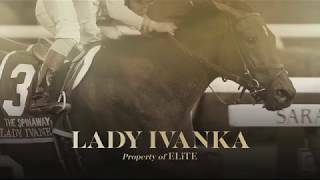 Undefeated in two career starts, Lady Ivanka immediately signaled her precociousness with an 8-length win at Saratoga in her first start. Less than a month later, she made her a successful stakes debut in Grade 1 company when she charged to victory in the Spinaway (G1). 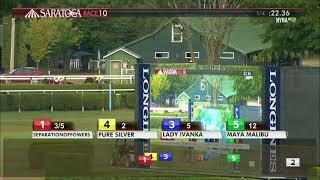 In that race, Lady Ivanka sat just off the pace until prompted by jockey Irad Ortiz Jr., then, despite running four wide off the turn, ran down the leaders to get the win. Winner of the Grade 1 Spinaway at Saratoga in her second career start. By Tiz Wonderful and from the family of multiple stakes winners Jet West, Jetinto Houston and Jetin Excess.